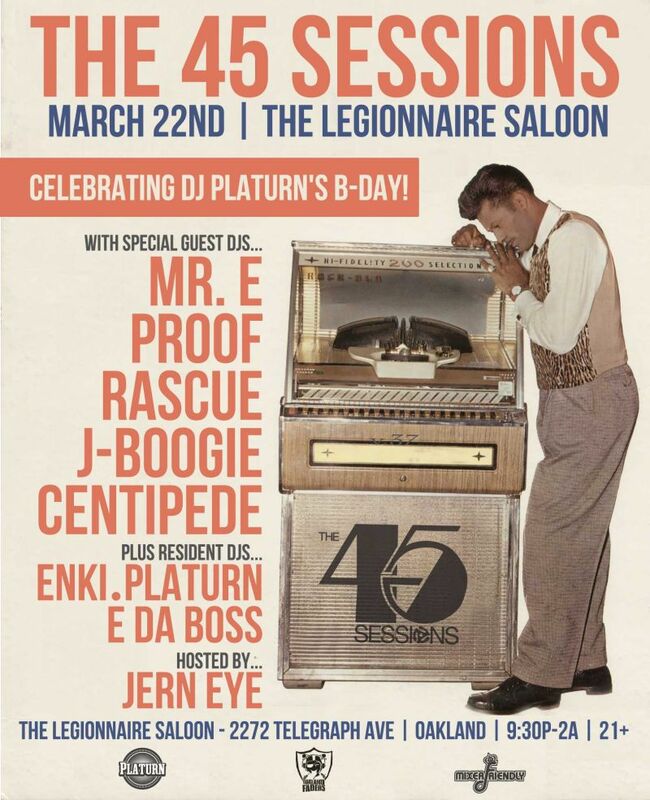 Join us for the kick-off at our new home, The Legionnaire Saloon, on March 22nd with The 45 Sessions residents and some of our favorite fam from around the Bay. We’re also celebrating DJ Platurn’s born-day so you know we’re gonna have a rowdy good time. We’re excited about our new phase of funk in the town — join us as we take our next step. All 45s, all night — little records, big sound!